There’s a new wonder weight loss drug on the way, according to the Daily Mail last month, that is not only more effective than diet and exercise but it also lowers blood pressure, raises good cholesterol and prevents diabetes. It even, the article enthuses, produces a feel-good factor, making dieting a pleasure. Buy! Gosh! unbelievable, this is exactly what nutritionist Zoe Harcombe thinks about it for reasons she explains below. Getting a realistic view of Saxenda is not only important for the health of anyone who is likely to be prescribed it but also for NHS budgets since it won’t come cheap. While one expert quoted by the Mail described Saxenda as ‘absolutely life-changing for many of our most difficult-to-manage patients’, Harcombe highlights the mismatch between the glowing promises and the unimpressive reality, one of which is that the enthusiastic expert has extensive links with the company that makes Saxenda. What the Mail article fails to make clear is that this drug, which under the name liraglutide (Victoza) has been used for over five years to treat type 2 diabetes, still has serious and unanswered questions about its safety. It has been linked both with a raised risk of thyroid cancer and with a condition which can lead to cancer of the pancreas. Even so patients given it for slimming will be getting twice the dose given to diabetics. A higher dose of any drug usually increases the risk of side effects. However people who have been wrestling with obesity for years might think it were a risk worth running, given that taking – actually injecting it into the stomach – daily for a year would allow you to lose 19 pounds; the equivalent, according to the Mail, to dropping two dress sizes. Actually a quick calculation reveals that this is a really poor result. Over a year, that 19 lbs translates into the loss of 1lb every three weeks. Is there really any diet that *can’t* beat that? What’s really wrong with Saxenda is not just that it is possibly dangerous and not very effective, but that the millions spent developing and marketing it and the billions more that will go on buying it could be far better spent on developing and implementing a serious public health approach to obesity. Injecting yourself every day to drop a pound in three weeks is a solution? Liraglutide hit the headlines in January because it had just been approved by the European Medicines Agency (EMA) for the treatment of obesity, to be marketed as “Saxenda”. The EMA had previously approved it for type 2 diabetes in July 2009. In America the approval for obesity had come a month earlier in December 2014. Liraglutide is used to treat diabetes because it increases the production of insulin, slows down the rate glucose is absorbed from the gut and reduces the action of glucagon, the hormone that balances insulin by sending more glucose into the blood stream when levels have dropped. It can do this because it’s a synthetic version of one of a group of hormones called incretins, which your intestines pump into the blood stream when you eat anything. The one that Liraglutide mimics is called GLP-1. I don’t agree with drugs like this being used to treat type 2 diabetes. The main reason being – because it is entirely unnecessary. Type 2 diabetes means that the body cannot regulate blood glucose levels properly. Instead of taking drugs to manage the handling of glucose, we need to STOP PUTTING THE GLUCOSE IN! Sorry to shout – but it should be so flipping obvious that type 2 diabetes should be managed by restricting carbohydrate/glucose intake that it is difficult not to want to shout when the obvious is being ignored. The same goes for using liraglutide to treat obesity because messing around with the body’s endocrine (hormone) system is a serious thing to do and we cannot be sure of the medium or long term consequences of mimicking and disturbing the body’s natural hormone production. So it’s not surprising that liraglutide comes with a major warning for thyroid cancer. That will likely be brushed aside by people who, let’s face it, are so desperate to lose weight they will consider destroying their stomach with bariatric surgery. But there is also research suggesting that the drug could be linked with damage to the pancreas. When, in 2010, the FDA approved liraglutide for type 2 diabetes, it stated that “pancreatitis (inflammation of the pancreas) occurred more often in patients who took Victoza than in patients taking other diabetes medicines”. The FDA statement, even more worryingly, approved the drug with the caveats that the company must conduct further studies to provide additional information on the safety of this product – particularly cardiovascular safety, thyroid and other cancer risks, the risk of seriously low blood glucose levels (hypoglycaemia), pancreatitis, and allergic reactions. Novo Nordisk was mandated: “To specifically evaluate the risk of medullary thyroid cancer, the company is required to establish a cancer registry to monitor the rate of this type of cancer in the United States over the next 15 years.” We won’t even know the results of this until 2025 – 15 years after the drug has been given to millions of people. What are they doing doubling the dose? Given the warning bells about cancer, pancreatitis and the like, it seems remarkable that liraglutide has been approved for obesity at double the dose for diabetics. What’s likely to be the effect? No one knows for sure, but a basic rule is that a raised dose is likely to make adverse effect more common and more serious. The dose for type 2 diabetes is typically 1.2mg per day, with a maximum of 1.8mg per day. The does for obesity is 3mg per day. One likely effect of this is the serious hypoglycaemia – dangerously low blood glucose levels – mentioned above). 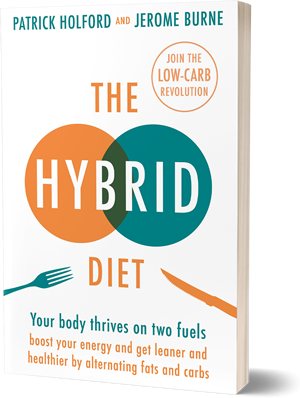 Ironically one effect of hypoglycaemia is insatiable cravings for food – especially carbohydrates – to raise blood glucose levels.. It is also reasonable to ask: will a drug that increases the release of insulin and impairs the release of glucagon from the pancreas not just risk pancreatitis in the short term, but result in type 2 diabetes in the medium to long term? We don’t know. What makes these all too plausible damaging side-effect even more worrying is that they are likely to involve a large proportion of the population. The EMA has approved liraglutide for use in adults with a BMI of 30 or greater (obese) as well as in adults with a BMI of 27-30 (overweight) who have another condition such as type 2 diabetes, high blood pressure, high cholesterol or sleep apnea. With 24.5% of UK men and 25.4% of UK women qualifying for the drug immediately and a substantial proportion of the remaining 42.1% of men and 31.8% of women in the overweight, but not obese, category also qualifying, this is the potential blockbuster that drug companies dream of producing in their labs. More worryingly, the EMA doesn’t know how the drug ‘works’ for obesity: “The mechanism by which liraglutide treatment results in weight loss is not entirely understood, but it appears to regulate the appetite by increasing feelings of fullness and lowering feelings of hunger“. The mechanism could be the nausea and diarrhoea, which are listed as “very common” side effects, even at the type 2 diabetes level of dosage. So even though there are serious concerns about Saxenda’s safety, it could possibly be prescribed to millions. That might make sense if it were very effective. The Mail story claimed it could “help you lose 19lb on NHS in months” and “help women drop two dress sizes.” Just how useful is that? And just how effective is it? This press release from May 2013 appears to be the source of the 19lb figure. The announcement from Novo Nordisk said that 3,731 people had been randomised 2:1 to treatment with 3mg of liraglutide daily or a placebo, both in combination with diet and exercise. The trial lasted for 56 weeks with a 12-week follow up period. The results were that, from a mean baseline of 106kg and a BMI of 38, the average weight loss for people receiving liraglutide was 8% compared to 2.6% for people receiving the placebo. 8% of 106kg is 8.48kg, which is 18.65lb (19lb). The placebo group lost an average of 2.75kg, which is 6lb. So this “miracle” drug achieved an average weight loss of 19lb in 56 weeks. That’s 1lb every 3 weeks. I don’t know about you, but I’m completely underwhelmed. My scepticism about the benefits of Saxenda increased even further when I googled the main spokesperson in the Mail article Professor Mike Lean from Glasgow University – together with the drug company Novo Nordisk The first thing that comes up is a study undertaken by Mike Lean, as the lead author, for Novo Nordisk on liraglutide. The article reveals that Mike Lean “has done commercially sponsored research and paid lecturing for Novo Nordisk.” And his fellow authors have, between them, declared interests for Abbott Laboratories, Astra Zeneca, Eli Lilly, LVG, Merck Sharpe and Dome, Novo Nordisk A/S, Novartis, Sanofi; Pfizer, Allergan, Arena, Vivus, 7TM Pharma, Neurosearch, Johnson and Johnson, and Takeda Global Research & Development. Two of the authors are employees of Novo Nordisk A/S and own stock in the company. I did like Professor Iain Broom’s contribution in the Mail, however: “I don’t think drugs are ever going to be the answer. Until society changes and the Government’s relationship with the food industry changes and the food industry itself changes, we are not going to get anywhere very fast.” That’s the honesty that comes from freedom from conflict. In December 2014, when the FDA approval for liraglutide for obesity was announced, Reuters noted that “The company sees the drug as having “blockbuster” potential, which means sales of $1 billion a year within 8-10 years of launch around the world, an estimate that analysts share” (http://www.reuters.com/article/2014/12/29/novo-nordisk-obesity-fda-idUSL6N0UD0MB20141229). This drug is also being hailed as possible treatment for Alzheimers disease in a phase 2b trial at UCL by Paul Edison. Why a GLP-1 analogue like this would have much effect I have no idea, but it’s part funded by Novo Nordisk. By how much is not available, but I suspect perhaps the bulk of the £339k cost. I don’t like any of these ‘biologics’ because they have multifaceted actions that cannot be evaluated with any degree of certainty and can possibly bring about fundamental cellular changes that are irreversible. But of course, it could open up an even larger market for Saxenda in the event of approval for this problem. So that’s alright then! I took their Pioglitazone, assuming they had my best interests at heart. Now I will take nothing unless it has at least 10 years use behind it and shown no side effects. If people want to be test dummies for the drug industry’s latest moneyspinner, so be it. LCHF sorts everything for me. No cost, no side effects, it has sorted my T2 DM and obesity, spectacularly. No profit for the dug industry in that, what’s not to love? Anyone with any sanity would not trust what they say. Given those figures, the regime with the placebo took off 6lbs, so that should be discounted. Those on the drug lost 13 lbs more than those on the placebo. So exactly 1 lb per month for the trial. So not a very startling result. Almost any weight watching regime should be able to beat this. I was given this drug today by my Doctor who pushed and pushed and pushed until I took it. I wasn’t given any explanations or details about side-effects. I went home after having injected it at the doctors office to find that I became nauseous within the hour, stomach pains and instant constipation. I had a look online and read up from a lot of reviews, and decided to throw it in the rubbish bin. I rang the chemist to enquire about how much it would cost and it comes to roughly $400 Australian per week. OMG. I’ve been on Saxenda for only 5 weeks and have settled on the 1.8 mg dose after the 2.4 mg dosage caused a warm feeling under my chin and the headache that frequently comes with using this drug became too uncomfortable. I started down this path because my weight was too high and causing me heart trouble. AFIB, and high blood pressure, and I’ve been using a CPAP machine nightly, for a decade. So far, in 5 weeks and 2 days of usage, I have lost 17.2 lbs, as of this morning. I need to lose 100-110 lbs and have tried unsuccessfully for years to lose weight with roller coaster results. I realize there’s a risk involved with this. I’m hoping a 60% dosage will help mitigate the cancer risk. But for the sake of my heart and my life, I am between a rock and a hard place. The good thing about this drug is that you can’t really eat a high fat diet. You will feel sick if you do. I’m eating much healthier now. Mostly fresh or sometimes frozen fruits; salads; and soups; with much smaller than my usual serving sizes of lean meat either in the soup or mixed in with a salad. I eat very little cooked food other than home made soups, high in vegetables, and very little bread or potatoes. Only small amounts of rice or noodles in my soups. I’m hoping to be off this drug within a year. Started this drug two weeks ago. There is some mild nausea but it’s manageable with dramamine or other OTC motion sickness meds. I highly recommend just taking non-drowsy dramamine rather than suffer w/ the nausea. So far so good – I’ve seen a 4 pound drop (reasonable weight loss week/week) and definitely a decreased appetite. Dr. also removed all wheat, sugar, dairy, caffeine and starch from diet which would be impossible without some kind of add’l support. This drug doesn’t mess up your brain. All meds have a risk – take too much Tylenol and you trash your liver and possibly die. The important thing is to be under a Dr’s care and use as prescribed for a sensible duration. Having too high a level of visceral fat along with too much weight on your joints and heart is also a high risk for cancer and other problems. There are a few issues to contend with here. 1. The rather broad cohort of the population that will be amenable to taking this drug is high. The way that liraglutide likely exerts its effect is from decreasing appetite – which means that this drug may be a useful adjunct (as well as balanced diet and exercise) to those who *really* struggle with their addiction to eating more than their recommended daily calorific intake. No drug is suitable for absolutely everyone. 2. Generalisation to any cohort of patients who are simply obese or overweight is going to yield poorer statistical results when it comes to interpretation – it’s simply too broad a problem. They’d be better focusing on people with serial weight-loss issues and above average, strong, appetite motivators vs just anyone who is overweight/BMI >30 (with no serious other medical conditions). There are so many methods of weight loss – this should really be seen as a last ditch effort vs balanced diet and exercise. Nothing in medicine is a one-size fits all. Patients should be counselled that they need to try, extensively, more conventional methods of weight loss and control. 3. As always, cost is a major factor. It’s very expensive and unlikely to be a long term viable option for many people until generics become available. 4. The unknown risk of thyroid cancers and pancreatitis must be offset against the risk of not losing weight – which I would argue (depending on BMI) has exponentially higher health implications including cancers. Agreed that everyone should just cut down their calories and exercise more, but this is difficult for many and no wonder people are looking for a ‘miracle cure’ in today’s consumer society. Nevertheless, it’s difficult to recommend, therefore, Sandexa as a first line or even a quick-followup second-line for weight loss given these risks. Interval monitoring for thyroid neoplasms should be considered in long term liraglutide users depending on what the evidence shows – which adds in to associated costs. 5. Most doctors are often not really the best people to seek advice about weight loss – especially in the NHS (unless they specialise in it!). The lack of time, resources and options leave those with a proverbial ‘hammer’ (medications) seeing every problem as a ‘nail’. People *rarely* seek out their doctor to just have a discussion about needing to do more exercise and eating healthily – they want a drug – and this needs to change. The multi-disciplinary team and other professionals are often much better placed to deal with obesity in terms of management advice and options. Obviously this doesn’t mitigate the professional obligation to give good weight loss advice, but certainly we don’t need to flood the market with medications when diet and exercise is what the patient really needs. 6. Anecdotally – I’ve seen a number of patients who find the side effects intolerable (so therefore stop the medication quite quickly) so they’re off it within a few weeks. Realistically in the UK that’s only £80 wasted for the private drug that they considered worth the trial. On the other hand, people with very long-term serial weight loss issues and appetite disorders (that have tried Orlistat and other drugs etc) really have felt the drug has worked for them and vastly reduces their appetite with minimal side effects or tolerable ones. Sure it’s only anecdotal, but it goes to show that there are many ways to skin a cat, weight loss is as individual as you are and it really can work for *some* people – but certainly not all. Thanks for thoughtful response to this- agree that nothing works for everyone and that targeting makes sense – although not something drug companies are keen on as it plays havoc with volume sales. Docs becoming familiar with nutrition and lifestyle a really good idea but no sign of changes to curriculum. Dr Rangan Chatterjee’s initiative here – day long presentation on lifestyle medicine – has been attracting audiences of 200 GPs. Little and late but a start. Maybe hotting up of low carb vs vegan debate is good in getting issues on the table but certain to bump up confusion of general public.